An acknowledgement by India’s BJP-led government that there has been a rise in religion-based hate crime has coincided with a warning from the Catholic Bishops’ Conference of India (CBCI) about the dangers to the country of a Hindu-nationalist agenda. Statistics revealed in India’s parliament on 6 February confirmed a long-standing allegation by rights groups that religious-based violence is growing, as UCA News reported. The data presented by the government showed that 111 people were killed in sectarian violence in 2017, compared to 86 in 2016, and that there were 822 recorded incidents of violence in 2017 compared to 703 in 2016. The highest number of sectarian incidents last year were in Uttar Pradesh, one of five BJP-governed states, where there were 44 deaths and 195 violent incidents. Meeting for their biennial assembly in Bangalore, the CBCI cautioned that attempts to impose Hindu nationalism could imperil the cultural and religious diversity of India. “Any attempt to promote nationalism based on any one particular culture or religion is a dangerous position. It may lead to uniformity but never to genuine unity. Such misconceived efforts can only lead our nation on the path of self-annihilation,” the bishops warned during the eight-day assembly. “Mono-culturalism has never been and can never be the right answer to the question for peace in a country like ours that has a rich diversity of culture, language, region, race and religion. True nationalism can lead our motherland to genuine peace, harmony, progress and prosperity,” their closing-day press statement said. “In a climate of violence,” the bishops appealed in their statement “to all fellow citizens to shun mob culture and vigilantism in favour of peace”. 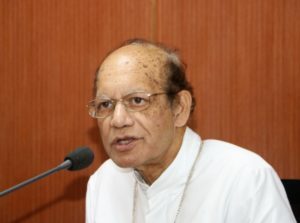 While addressing a news conference on the final day, Cardinal Oswald Gracias of Mumbai, who was elected CBCI president at the conference, said “intolerance is causing a certain amount of anxiety to us”. His remarks echoed concerns raised in many quarters after the BJP government revealed that hate crimes and attacks on religious minorities had been on the rise since the BJP won the 2014 election. “Diversity is one of the strengths of India. It is known the world over for its diversity of culture, language and religion. Any attempt to divide people by certain sections will be harmful for the nation,” cautioned Cardinal Gracias. The outgoing CBCI President, Cardinal Baselios Cleemis, called for upholding the “constitutional guarantees” amid religion being used as a “biased factor to separate people”. “The country is facing different challenges, like making sure the constitution is really [observed] in the life of the citizens. Constitutional guarantees should not be blocked from any corner,” he said. 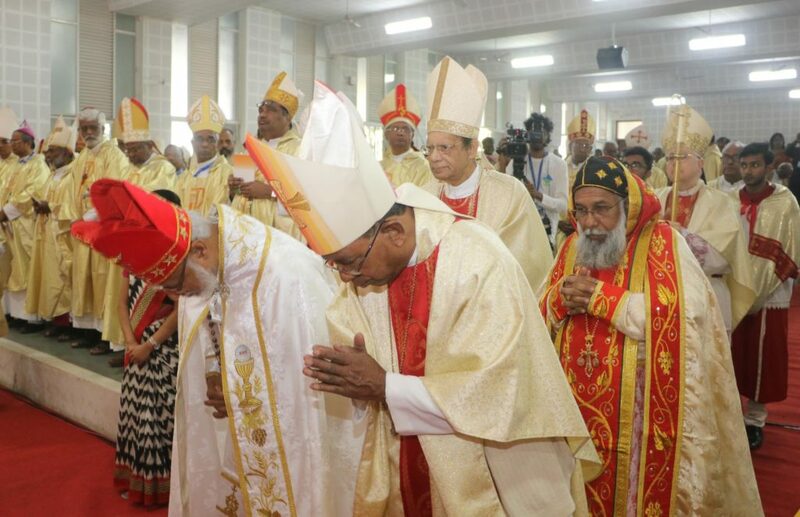 Cardinal Cleemis also cited the recent attack on carol singers and the attack on a children’s hostel owned by the Catholic church, both in Madhya Pradesh state, as “examples” of the violation of the freedom of religion guaranteed by the constitution. Similarly, he severely criticised the controversial decisions of the Modi government to observe Good Governance Day on Christmas Day, and Digital India Day on Good Friday 2017. “Any other date could have been fixed to launch such programmes. Why hurt the feelings of a community?” Cardinal Cleemis said. The closing-day statement from the CBCI assembly stated: “No-one should doubt our loyalty or our commitment to the nation,” despite some Hindu nationalists branding Muslims and Christians as foreigners. The statement included an action-plan to make India’s constitution more widely known in all sectors of Church and society, highlighting equality and religious freedom. The CBCI also made a commitment to make its core activities – the provision of education and healthcare – more affordable to the poor, and more accessible by Dalits, many of whom are Christian, and other oppressed tribal groups. Meanwhile, the general secretary of the Baptist Churches Council in the north-eastern state of Nagaland has cautioned Christians not to associate with the BJP ahead of state-assembly election day on 27 February. In a letter addressed to the mostly Christian leaders of all political parties in the state, Rev. Aelhou Keyho advised against surrendering “your Christian principles and, above all, your faith for the sake of money and development”. His letter made an apparent reference to attempts by the BJP to forge an electoral alliance to capture power in Nagaland with the support of Christians, reported Matters India. Nagaland is one of three Christian-majority states in India. More than 88 per cent of the state’s population registered as Christians in the 2011 census.